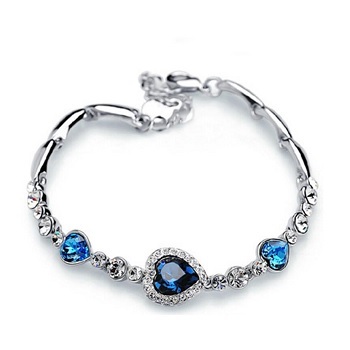 These stunning bracelets are perfect for gifts Set with a beautiful OCEAN BLUE center piece. The surround is set with diamante crystals. Why not add the matching necklace and gift box.